It’s finally out, and it’s been a long time coming. 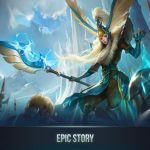 Four years after the success of Order and Chaos, Gameloft has just released its sequel, Order and Chaos 2: Redemption, for both iOS and Android devices. 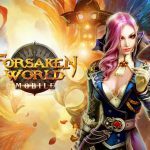 It promises to be the “best and biggest mobile MMORPG” in the market, as you’ll be interacting with thousands upon thousands of characters – those controlled by real-life players, and in-game NPCs, or non-playable characters. You’ve got a new race (Kratan) to choose from, a new class, and the usual MMORPG mechanics – evolving weapons, crafting and fusing gear, and “hundreds” of quests. You can also play solo in the Dream Dungeons for more loot, though the main thing here is your interaction with players from all over the world. Many have called this game as close as you can get to a PC-based RPG, or to be more specific, a PC MMORPG. That means you’ll be dealing with an intricate, rich title with a lot to learn, a lot to figure out, a lot to memorize. But it doesn’t have to be a long and arduous learning process with our compilation of Order and Chaos 2: Redemption cheats, tips and strategies. When you tap on a quest to accomplish, you’ll see some blue dots, though sometimes you’ll encounter some red dots instead. Red dots mean you’re on an incomplete path, and you’ll have to tap on the quest again; you’ll then see some slightly different looking red dots instead. Follow these dots, especially if you see several other players along the way. Chances are they’re following the same path as you are and trying out the same quest. If you move away too fast from an area, you may end up missing out on a good number of quests that could earn you some experience points if you complete them. Make sure you complete most, if not all available quests, before moving to the next area. In fact, we’d say go for all, as that’ll help you level up faster and give you a stronger edge over the enemy. Additionally, those quests are your chance to score more loot, such as weapons and materials. Even the weakest quest may have some value, mainly because they’re typically a breeze to accomplish. See the eject button-like arrow in quest trails? You’ll want to tap on that, as that will allow your character to automatically follow a quest path. That way, your character could go to their destination by themselves, or go on until they bump into an enemy, in which case you’ll have to fight them. Tapping on another player allows you to interact with them; you can exchange a few lines via chat, add them to your in-game friends, or challenge them to a duel. Duels take place right away, and take about 15 seconds; they’re simply stat showdowns where the player with the better numbers wins. Make sure you’ve got some solid equipment on you and a good number of quests in an area completed for the best chances of winning duels. 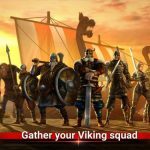 Joining guilds is also a great idea for beginners, as you’ll learn lots about the game that way, and how to interact with your fellow guild members. Choose a guild that’s most suited to your play style. Or you can start your own and create your own rules.